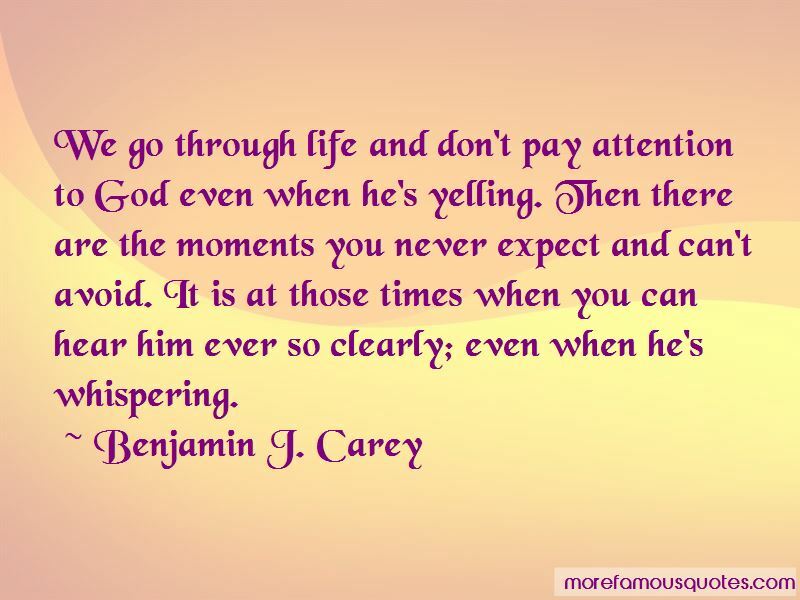 Enjoy the top 4 famous quotes, sayings and quotations by Benjamin J. Carey. 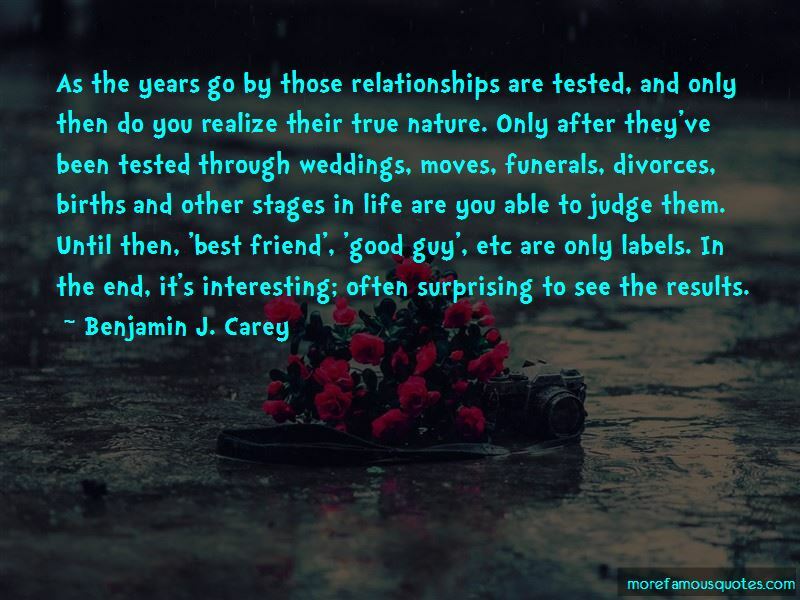 As the years go by those relationships are tested, and only then do you realize their true nature. Only after they've been tested through weddings, moves, funerals, divorces, births and other stages in life are you able to judge them. Until then, 'best friend', 'good guy', etc are only labels. In the end, it's interesting; often surprising to see the results. 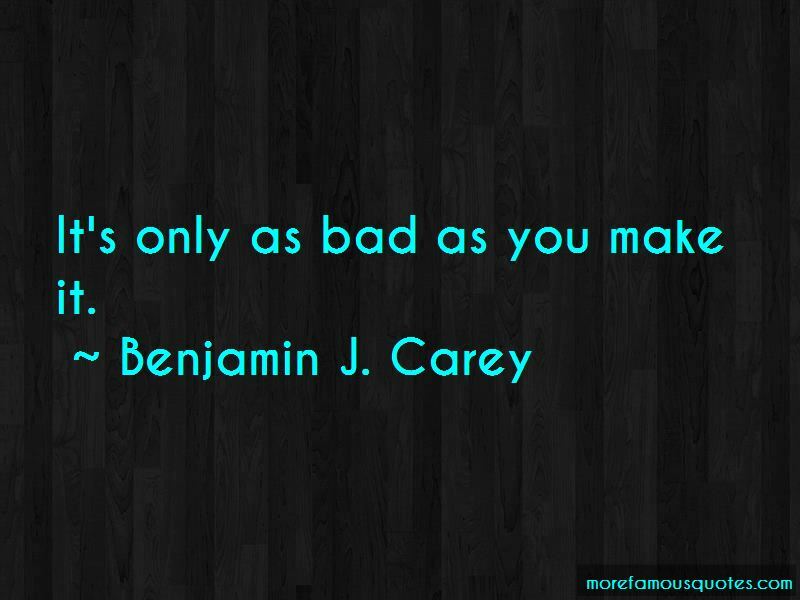 Want to see more pictures of Benjamin J. Carey quotes? 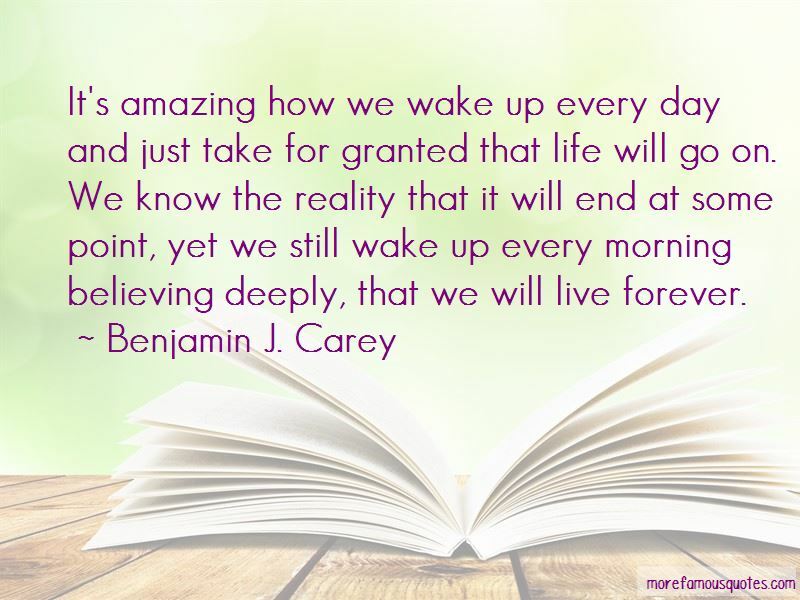 Click on image of Benjamin J. Carey quotes to view full size.